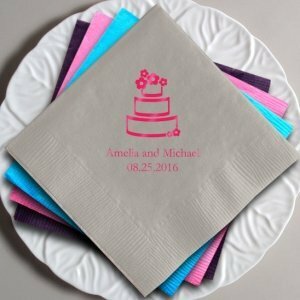 A 3-tier cake with floral accents takes center stage on these napkins (luncheon, dinner, towel or beverage size). 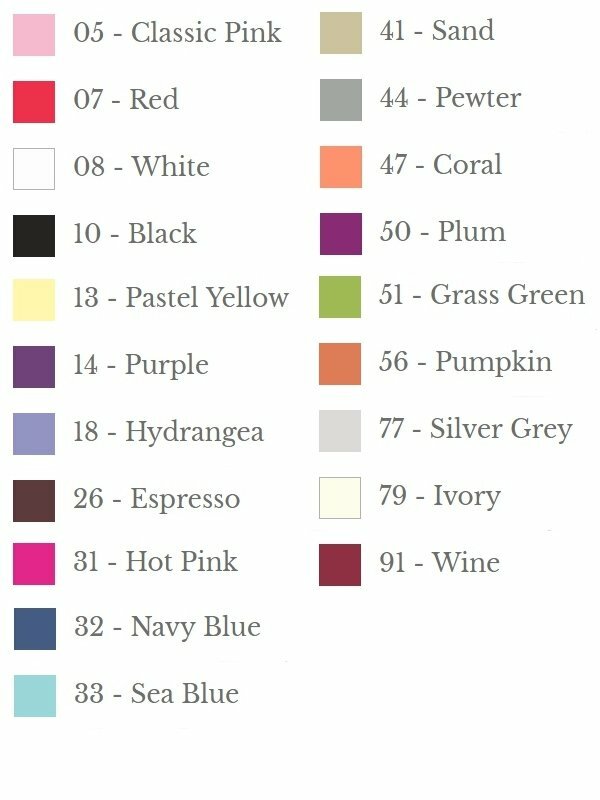 You can choose from many colors to coordinate perfectly with your color scheme. 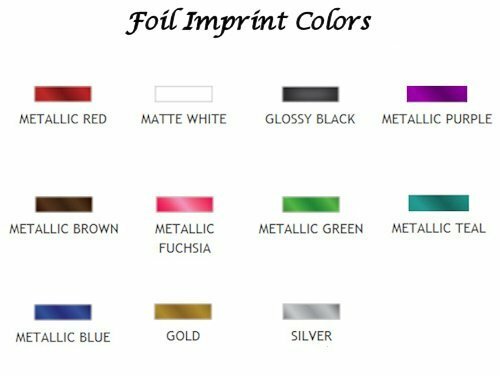 The text and design are imprinted in your choice of 11 colors too, to insure they coordinate perfectly with your motif. 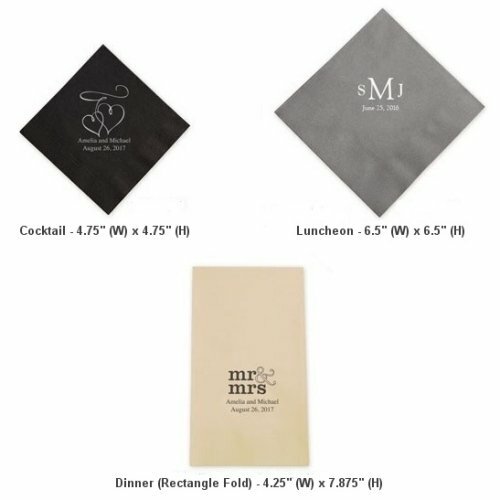 Our personalized wedding cake napkins are sold in sets and feature sturdy 3-ply construction.